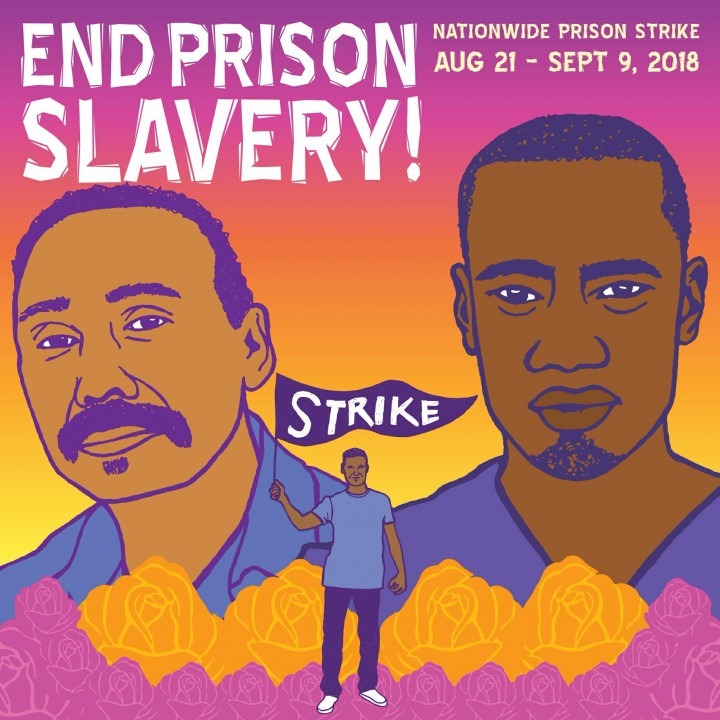 Add your organization to the list of those endorsing the national prison strike. Here are some of the reasons this is important. 1. The strike is calling for workstoppages, hunger strikes, sit-down strikes, and boycotts of the commissary. Not all of these tactics are legally protected for prisoners to engage in, but they are all unquestionably ethically righteous and ought to be protected rights. The National Lawyers Guild has endorsed the strike and has a network of lawyers (Prisoner Litigation Advocacy Network) actively working to defend strikers and expand their rights and freedom to protest. 2. The demands are broad and ambitious. This is intentional. The strike will occur from August 21s – September 9. The goal is not to bring prisons and decision-makers to the table for immediate relief within that time period, but rather to use those weeks to demonstrate power and advance the demands as a platform for nation-wide change. This is a strong next move in a long struggle. 3. The prisoners are aware of the risk, and need us to defend them. Some people might be cautious about endorsing the strike, fearing that they will incite prisoners to take action that invites severe retaliation. Resistance within prison is constant, often spontaneous and individual, action taken as desperate last resort. Reprisals and repression, including violence from guards are also constant. When prisoners coordinate and take action together it not only makes their efforts more likely to succeed, it also helps protect them from facing the full force of reprisal individually. When outside support is shining a light on the issue, it stays guards’ hand. Your endorsement is less likely to incite participation, than to protect prisoners who have already chosen to participate (or will upon hearing about the strike). Please fill out the form and join the list of endorsers for the strike.